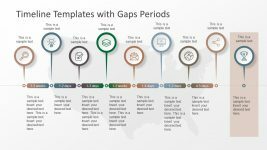 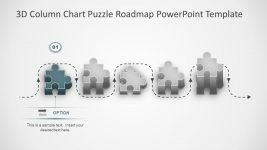 The amazing slides of 3D Column Chart Puzzle Roadmap PowerPoint Template highlight individual segment of presentation at a time. 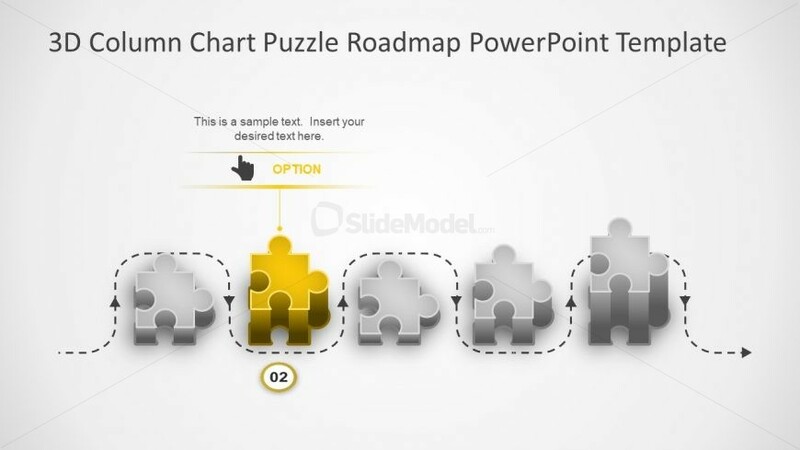 Like this slide shows a glowing yellow puzzle piece with pointing finger icon. 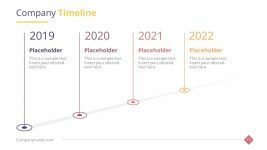 It is a five step PowerPoint of process flow diagram showing the second stage of the presentation. 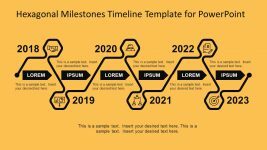 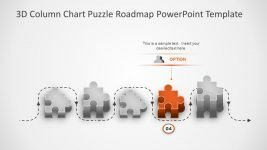 The editable PowerPoint of column chart puzzle roadmap enables users to make several changes. 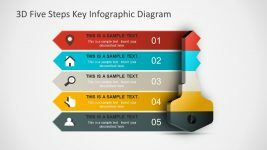 Such as, the color and the shape effects from drawing format menu. 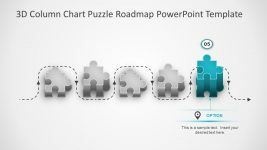 Further, this stage has number and icon for its representation. 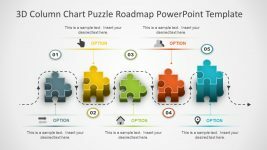 The presenter can also make adjustments or replace the graphics as necessary.